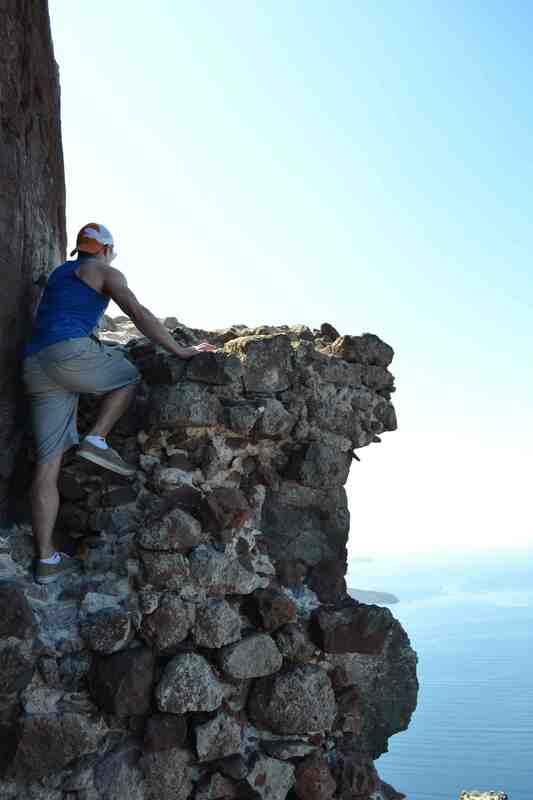 Santorini Greece-Some of the best viewpoints on Santorini require some work to get there. But staring out over the perfectly blue Mediterranean Sea is worth it. Miles Mitchinson is the founder of Detours Travel, a “group of family and friends who all share a love of traveling.” We asked him to provide photos for the Parting Shots section of this month’s issue of the magazine. Here are more photos of Detours trips and a Q&A with the aptly named Miles. Why do you love to travel? I have lots of reasons why I love travel, and each trip feels like it fulfills a different “love”. I love the simple battery-recharging pleasures of a beach trip, but the travel I love most are the trips that I’m taken out of my comfort zone, trying something new, working through unfamiliar situations, and immersing myself into a unique experience. How far in advance do you plan your trips? One of the great parts about a travel is the anticipation of an upcoming trip so I’ve always tried to book a trip several months in advance. The more pre-trip daydreaming the better! That said, I’m also one to spontaneously jump on a plane if a good opportunity arises. Everybody! Sometimes I’ll take a family member on a milestone birthday trip, or head out somewhere fun for a friend’s bachelor party, but I’m not opposed to going completely solo to a new far-away land where I’m sure to meet people along the way. Most of my travel now is with our Detours group trips which fascinates me every time. The fact that a group of complete strangers can come from so many different walks of life and become such close friends after 12 days together is one of the big reasons I have so much passion for what I do. What has surprised you about travel? The effect that being outside of the comfort zone of home can have on people. To witness the actual life-changing effect that travel can have on a person is very surreal. Whether it’s the clarity that can come from being removed from an monotonous daily routine, or the realization of how incredibly different ways people live their lives, there’s something very powerful about the effect of travel on a person’s mind. What do you know now that you wish you knew before your first trip? I wish I had registered for one or two airline loyalty programs way back when I started traveling and stuck with them. The number of free trips to anywhere in the world that could be at my fingertips! Completing my first Detours group trip. It took a lot of passion, work, and risks to launch Detours in 2012 and the satisfaction of completing the first wildly successful trip was an incredibly gratifying feeling. I’ve found the best time to go anywhere is on the edge of a destination’s high season. There are still enough people around without huge crowds, deals are easier to find, and weather is generally still great. Thankfully the gay factor of the world is expanding in most areas! Many countries are becoming more gay friendly which brings with it better gay scenes, more welcoming destinations, and more people to meet during your travels.